Advice: Be detail oriented. BE HONEST--if you make a mistake, admit it. Don’t gossip. Your reputation is one of the only things you have in the horse industry. Keep it polished. In spring of 2006, Applewood hosted a clinic with Christoph Hess, director of training for the German Olympic committee for equestrian sports. It was a highly participatory clinic, Jana says, even for auditors, as Hess worked through several ideas including discussions of the new Dutch form of riding. “Everyone was so blown away by the concepts he brought,” Jana says. “I felt very validated. Most of the things he was saying were things I had already learned at Meredith Manor. It was review for me." Besides being responsible for the daily care of both the horses (mostly warmbloods and Thoroughbreds) and the facility, Jana’s hours were filled with tuning up horses for boarders, teaching 10 to 12 riding lessons a week, bringing along a few sales projects for Applewood, and training her personal horses for sale. Jana missed the job at Applewood the first time around. The farm had listed its requirements for a barn manager in the Meredith Manor job book so she sent her portfolio, resume and a riding video. Initially, Applewood chose someone else to fill the position. When that situation didn’t work out, they called her back. Another thing that is important, Jana says, even though it isn’t taught directly in school, is that appearances count. “The appearance of a facility really affects people in a subconscious way,” she says. “If a plant doesn’t look taken care of, clients may wonder what kind of care they can expect for their horse that requires more than water and sunlight.” Get rid of things that don’t look taken care of, replace things that are worn out, make sure pastures are mowed, that stalls look nice, and get rid of all the old wagon wheels. They’re not decoration, she says. They’re junk. Probably the most important thing, she says, is to be completely honest with clients at all times. “If you’ve made a mistake, admit it,” she says. Don’t argue with someone to cover a mistake, don’t talk about how badly someone else treats their staff or clients, and don’t gossip. Horse trainer and “horse trader” sometimes have the same negative connotations, she says. Build and protect a reputation for honesty because that is your most valuable asset in the horse industry. 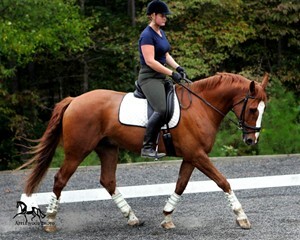 Jana’s attention to detail and client service have helped her make a new move along her equine career track. 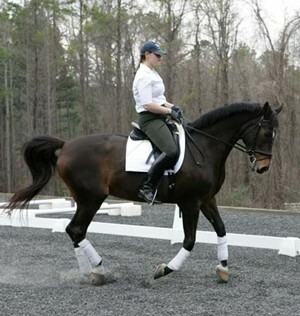 She was recently offered and accepted a new job as head dressage trainer at Black Sterling Friesians in Sonoma, California.